Choosing a conservatory for your property can be a challenging process at the best of times. Which type of conservatory will suit your home? How large of a structure do you need and what will you use your new space for? The extensive range of designs available can be both confusing and overwhelming, particularly if you’re considering a new-build. 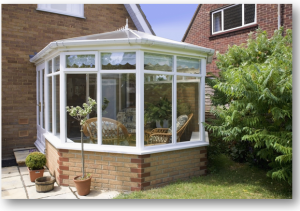 Which conservatory you choose all depends on a variety of different factors, including style of home, available budget, as well as more practical considerations such as elevation of roof and build space. With ever increasing families, enhancing and increasing the available space is one of the top priorities amongst homeowners. Open-plan living has become particularly popular, achieving a pleasing cohesion between indoors and outdoors. Many homeowners find that by having the same flooring from the existing property to the new build, a sense of flow is created between spaces. Unlike expensive extensions, (which require the long-term intrusion of builders), UPVC conservatories are comparatively easy to install, encouraging natural light to filter in, creating a distinct sense of spaciousness. UPVC is also an ultra-low maintenance material, making it the perfect material for home owners with hectic lifestyles, as it requires negligible upkeep. If you own a new-build property, or a home that’s relatively modern, a lean-to conservatory is likely to be the best-fit solution. Cool and contemporary, the lean-to conservatory’s crisp clean lines are well suited to matching minimalistic aesthetics. Their pared down structure blends seamlessly with a modern exterior, enhancing, rather than detracting from your property. In contrast to this, you may prefer to seek out conservatory styles that feature a distinguished look of refinement. 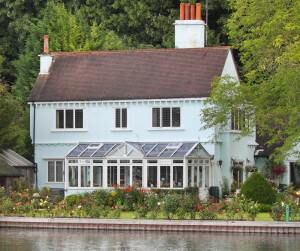 In these cases, either an Edwardian or Victorian style is likely to appeal. Boasting atmospheric intrigue, traditional conservatory styles are well-suited to period properties, providing a sense of stately grandeur to older homes. You may choose to customise this style even further; many traditional conservatories come complete with historical embellishments and bespoke flourishes, all of which combine to create a conservatory that will remain a talking point for years to come. Alternatively, you may prefer to opt for something a little more embellished. If this is the case, then the ornate flourishes that define the Victorian design are likely to appeal. A Victorian Conservatory style reflects the abundant aesthetics of that period, with lavishness and expansion the defining design characteristics of that time. It’s bold, confident shape may make it an acquired taste for some, but if you’re keen to install a conservatory that will become a focal feature of your property then a Victorian style can’t be bettered. The traditional charm of an Edwardian conservatory is clear for all to see; its subtle, seamless lines and elegant decoration hark back to the Edwardian architectural era, where Kind Edward the seventh graced the throne. The plain glass wall of an Edwardian conservatory, combined with its symmetrical style is especially advantageous if you’re aiming to maximise available space. Not a single square metre of floor space is wasted with this conservatory design; indeed, an Edwardian conservatory actually creates the illusion of extra space as well! The lack of detailing and embellishments on the glass panels’ improves visibility, enabling you to look directly out onto your garden, and feel part of the surrounding landscape. For home owners on a tight budget, the lean-to conservatory is the most affordable style on the market. It’s sleek, stream-lined design makes it a highly versatile style that can be adapted to your individual requirements. This is of particular benefit to homes with height restrictions (such as bungalows), as the low-pitched roof complements, rather than supersedes, the property. 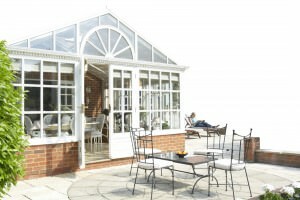 Lean-to conservatories are also refreshingly low-maintenance, perfect for home owners with hectic lifestyles. No matter what time of year it is, you can enjoy all the benefits of a brand new lean-to conservatory, thanks to the range of under floor heating options available. 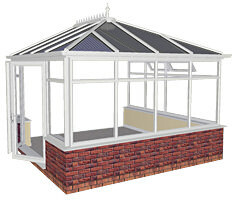 When it comes to creating an elegant sense of grandeur, the gable-fronted conservatory is in a league of its own. Boasting unrivalled architectural heritage, the gable conservatory is the ideal option for homeowners with historic properties. Creating a seamless transition between indoors and outdoors, the gable conservatory helps to extend and maximise on the space available. It’s high-pitched, elevated roof adds an increased sense of spaciousness, making for a light and airy room that’s both impressive and awe-inspiring in equal measure. The beauty about p-shaped conservatories is that they enable you to create a multi-functional space that can be adapted to suit every requirement. 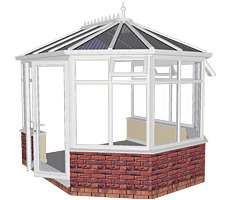 If you’re toying between a lean-to and Victorian style conservatory, then the p-shaped style is the perfect solution. 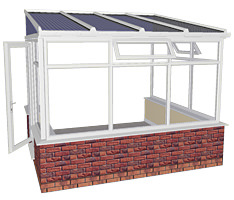 As a combination of both styles, the p-shaped conservatory provides you with the option of segregating your conservatory space into two separate rooms. This can be ideal if you’re seeking to achieve two different purposes for your conservatory, as you can divide the available space into a relaxing sun room, as well as using the ornate Victorian extension to eat and entertain in throughout the year. A common concern amongst homeowners is whether planning permission needs to be granted before installation can commence. Must not be more that 4m in height. Must not be taller than the most elevated part of the existing roof. Must not contain any verandas, balconies, or raised platforms. Must not obscure more than 50% of the size of the original house. Planning and building regulations for conservatories in conservation areas can be particularly strict. 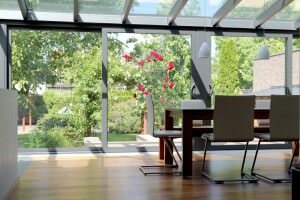 In these instances, homeowners are unable to install a conservatory on the side of their property. 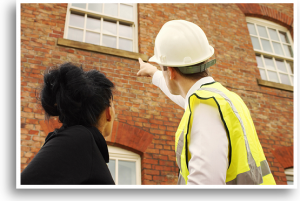 The same stringent prohibitions apply to home owners of listed buildings, whereby you should consult your local building authority before you make any adaptations to your home. 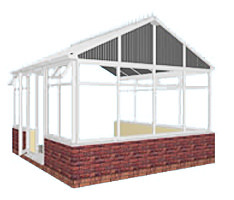 Sourcing reputable conservatory suppliers locally can be something of a challenge. Our easy-to-use conservatory cost calculator does all the hard work for you, providing you with instant conservatory prices in a matter of minutes. The quotes we leave you with are an accurate indicator of the average cost of a conservatory, specific to your imputed sizes and styles. Following this, we put you in touch with experienced conservatory suppliers in your local area. They will provide you with a detailed computer generated design of your proposed style, enabling you to watch your initial ideas take shape before your very eyes. 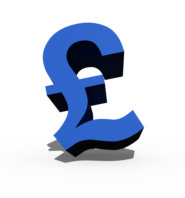 Each supplier your matched with is aware that they’ll be competing, ensuring you secure the most affordable deal available.